Anyway, back to getting cozy. We decided to make our friends, teachers, etc. 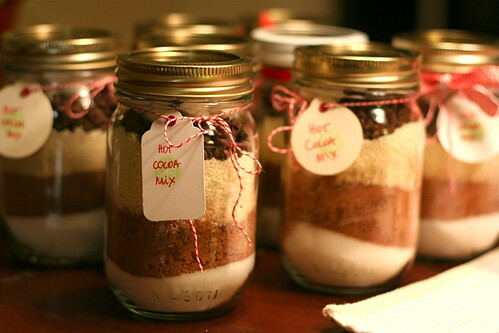 some hot cocoa mix. After I had confirmed that we wouldn't be putting whooping cough germs into each batch (Merry Coughmas! ), we got out all the ingredients. Bella is beside herself at this point: mini chocolate chips! 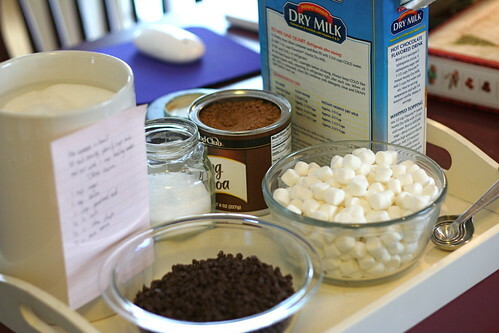 mini marshmallows! 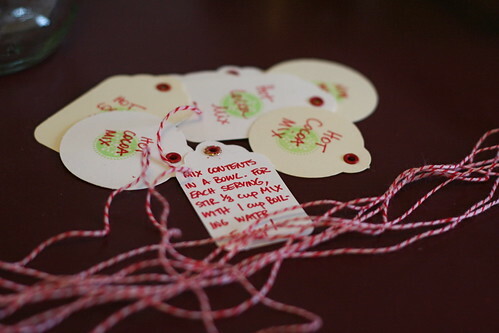 I did this part (the tags) while Bella was resting in front of the TV. Bella's marker skills wouldn't have led to the Martha Stewart look I was going for. Also it was kind of repetitive and even I got bored. Tah dah! We were quite proud of ourselves at how cute they turned out. Preliminary Pneumonia? I thought that was something that you have or don't. She said it wasn't pneumonia yet. But it kind of sounded pneumonia-y on her left side.